UT Idea Lab | Two student teams have been selected to represent University of Tartu in NGAL® business development program! Two student teams have been selected to represent University of Tartu in NGAL® business development program! On 27th February UT IdeaLab announced the application round for NGAL ® – an international business development program that enables early-stage student teams to develop their idea together with other student teams from Estonia and USA. Although the competition was tough, our STARTER teams Coulomb Sailing (Tseres) and Cody were selected to represent University of Tartu. NGAL ® (Network Globally, Act Locally) is an intensive three-week business development program that in June takes place for the third time already. The program starts with the boot camp at UT IdeaLab and ends with a launch-camp in Charleston, USA. At the final day teams pitch to judges, Charleston-area entrepreneurs, and the best teams will be awarded. The program enables teams to develop their business idea and MVP and take their company to scale together with student teams from two Estonian and three US universities: University of Tartu, Tallinn University of Technology, College of Charleston, The Citadel (Military College of South Carolina) and Nebraska Wesleyan University. The project is financed by Harry and Reba Huge Foundation. 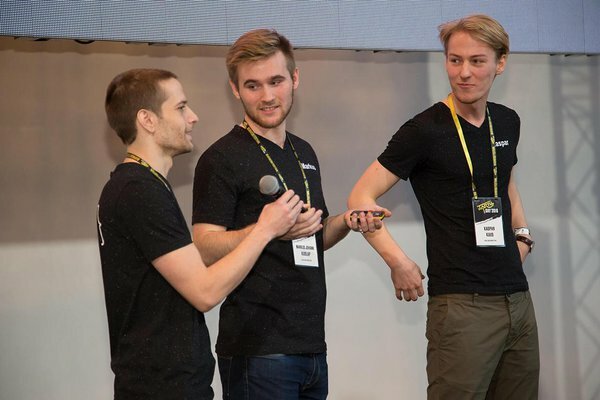 University of Tartu will be represented by two student teams: Coulomb Sailing is developing a business case in order to involve investors into the space technology sector, and a personal coding platform Cody that teaches coding like Lingvist teaches languages with numerous interactive exercises. Both teams are also participating in IdeaLab's STARTER program. "We applied for NGAL ® to get to meet other entrepreneurial minded students and to see if our product might be something for international market," says Triin Teppo, team leader of Tseres, adding that they are now even more motivated to go on!